What type of player is it that makes the grade to be a Ted Lindsay Award finalist? For a trio of Dallas Stars, they’ll tell you it’s someone just like Jamie Benn. There is a common theme in the responses by teammates of the 25-year-old captain, who finds himself on the shortlist for hockey’s most coveted individual honour. 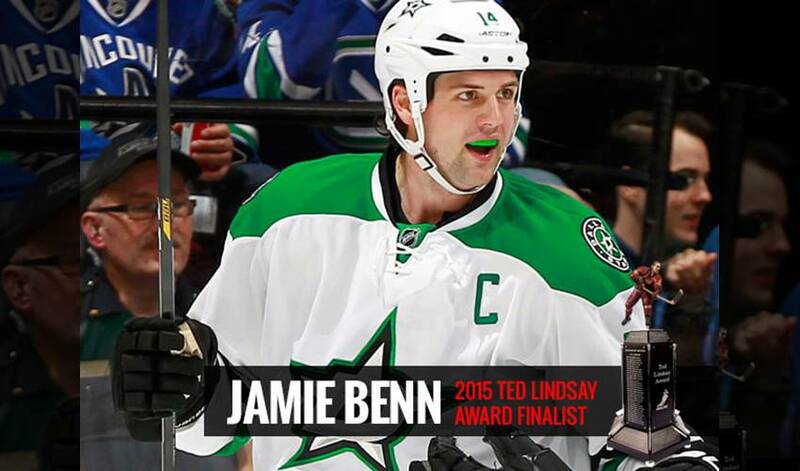 So, what is it precisely that has earned Benn recognition and votes from his fellow players? Equal parts skill and sandpaper, Benn has risen up the ranks to stamp himself as one of the NHL’s most respected and impactful leaders. Not bad for a player selected 129th overall in the 2007 Entry Draft. If Benn was a best-kept secret, Horcoff insists those days are officially over. Perhaps the last word should go to someone who is the most familiar with Benn, namely, his brother and Dallas teammate, Jordie, part of the Stars’ defensive corps. The type of player, his teammates say, that undoubtedly deserves to be in the mix for the “Most Outstanding Player,” as voted by his peers.